A few of this used Frontier's key features include: Steering Wheel Audio Controls, Electronic Stability Control, a Spare Tire (Full Size), Steering Wheel Controls, a Electronic Messaging Assistance, Traction Control, Rear Wheel Drive, Cloth Seats, an Auxiliary Audio Input, Air Conditioning, a Gasoline Engine, a Rear Head Air Bag, Steel Wheels, Disc Brakes, Bluetooth Connection, Cruise Control, an AM/FM Stereo, Tinted Glass, a Pass-Through Rear Seat, a Drivers Air Bag, a Tire Pressure Monitoring System, an MP3 Compatible Radio, Anti-Lock Brakes, Bucket Seats, Privacy Glass, Intermittent Wipers, a Single-Disc CD Player, a Passenger Air Bag Sensor, a Front Head Air Bag, a Front Side Air Bags, a Passenger Air Bag, Power Steering, and Variable Speed Intermittent Wipers. This 2017 Nissan Frontier S, Stock number 19396 features a White exterior and has 41,115 miles. 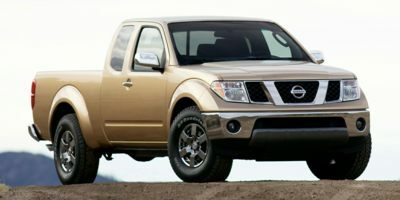 Factory equipped with an impressive 4cyl, 2.5l, 152.0hp engine, an transmission and rear wheel drive, this Nissan Frontier is built to please! Contact us today to schedule a test drive of this 2017 Nissan Frontier S! Or stop in at 1200 East State Road 44 Shelbyville, IN to check it out in person!